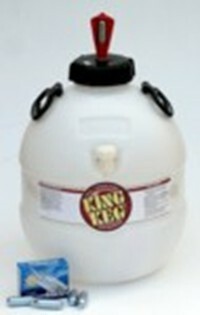 40 pint beer barrel complete with injector and pack of 10 CO2 bulbs. Wide neck, easy to clean barrel. Top tap allows barrel to be floor standing. Injection valve converted to take injector and CO2 bulbs to top up pressure, which allows the beer to be served at its optimum.